Happy Friday everyone. There's still time to join us at Your Next Stamp for Challenge #52. 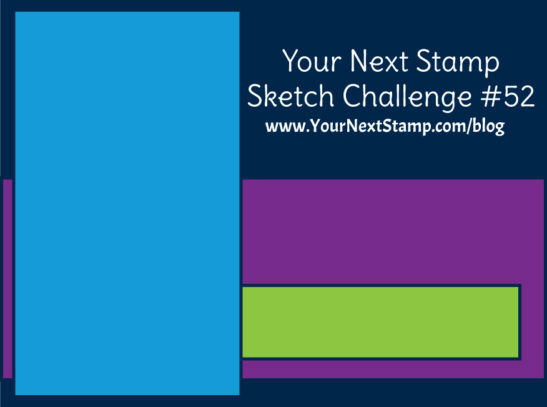 We have another great Sketch and Color Challenge to choose from or you can combine them together. 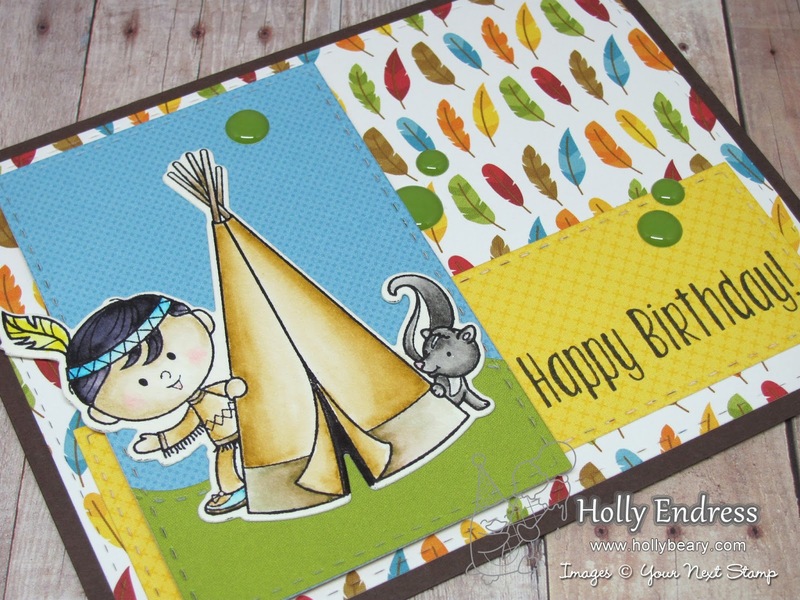 I'm using the super cute new Little Darlings Indian set and some fun Papers from Doodlebug Designs. I decided to use the Sketch portion of the challenge this week. 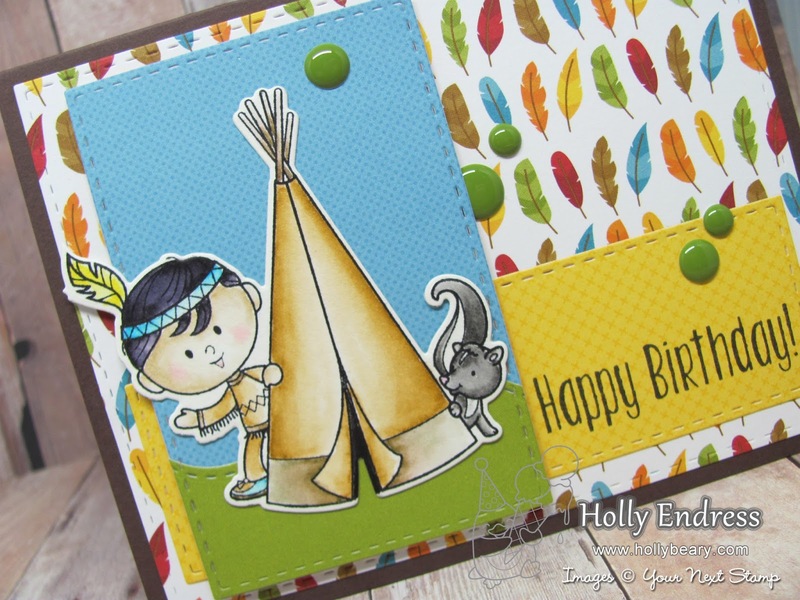 I started by die cutting several of the pattern papers using the Stitched Rectangle Die set and adhered them to a Chocolate Card base. 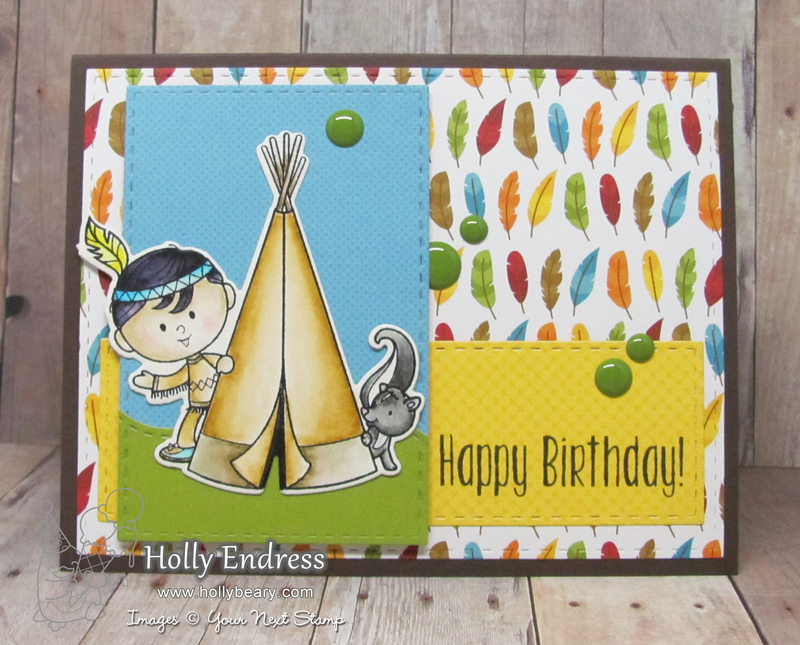 I used the Double Stitched Hillside die to created a grass area under the image as well. 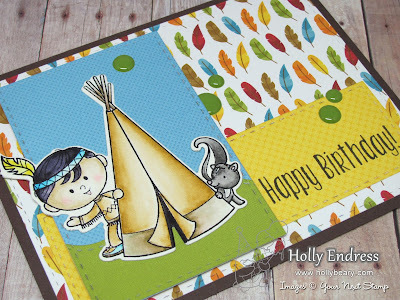 I stamped the image onto some Watercolor paper and colored it in with Zig Clean Color Real Brush markers. Then I used the coordinating Die cuts and adhered it over the pattern paper area. 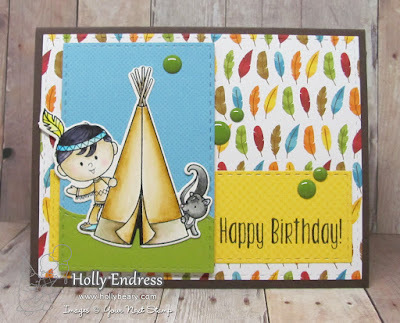 I stamped the sentiment from the same set onto the front using the new Black Olive ink from Your Next Stamp and I added some Love Earth Gumdrops for an extra pop of the Green. 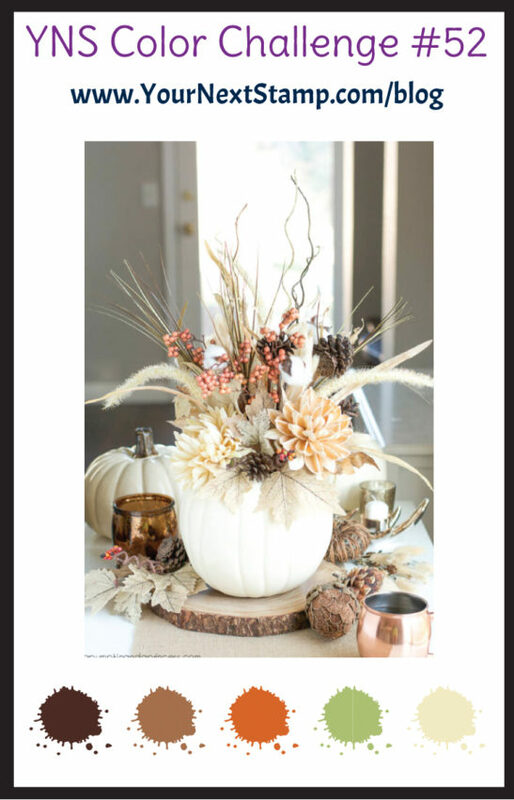 Head over to the Blog for more inspiration from the Design Team and we hope you will play along. The Linky will close on Thursday Nov. 24th at midnight EST and there's a $15 GC for on lucky participate. What a sweet card! I wish I could color like that!